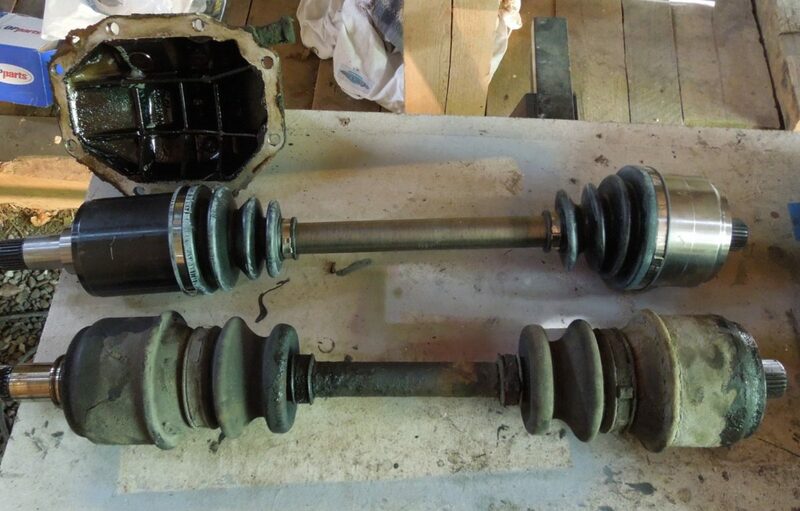 Replacing driveshafts is like changing hips on grandma. Cracked driveshaft rubber boots? Maybe you have huge slack in the drive line or leaking fluid from the differential. All these things will lead to either replacing the rear driveshafts or fixing them by changing the rubber boots and gaskets. Changing the rear axles is definitely a DIY job. Most times the axles in these cars are overly worn and have lots of slack before people tend to change them. They are overbuilt and can take a lot of beating before breaking. The Achilles heel is the flexible rubber boot that covers the spider joints, it will start leaking when the rubber becomes brittle with age. 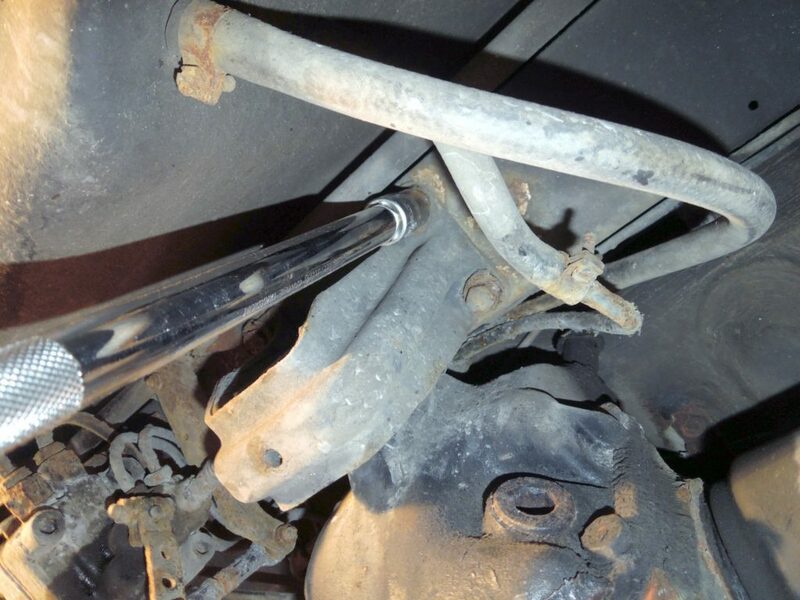 I will not cover how to replace the spider joint boots, but how to replace the axles completely. This method might be more expensive, but much easier than changing the rubber boots. Prepare to maybe use half a day or more on this job, you can get away with doing only one axle in a shorter time, but the process of removing one is quite tedious. I encourage to changing both of them since you will also have access to the other axle from within the differential in the process with just using some extra time. I’ll cover the procedure here on a station wagon, but the method is almost equal on the coupé and sedan versions, except on those you have to take the rear seats out to access the dampers so in that way it’s a bit easier in the wagon. 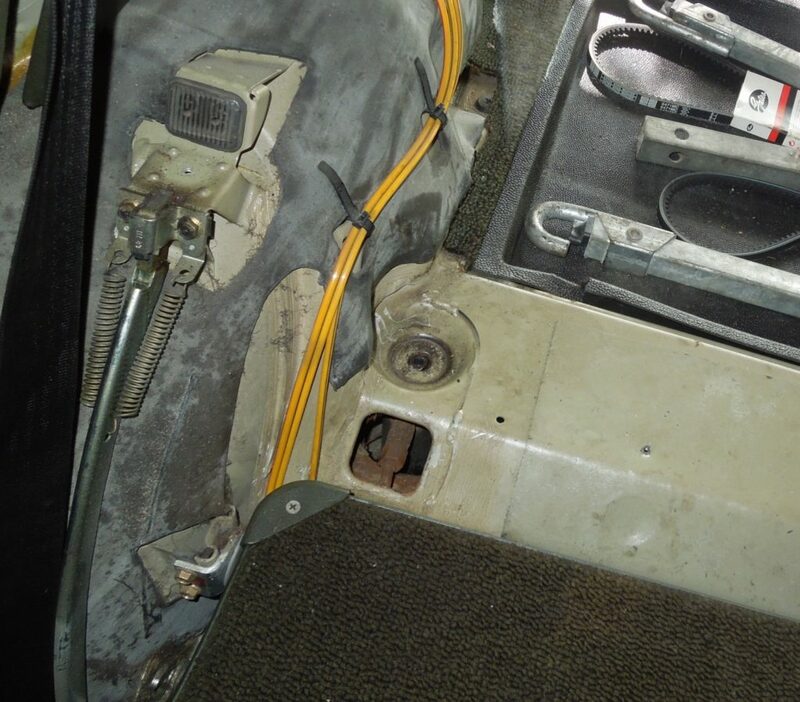 You should cover the interior before your make dirty spots and oil with your filthy mechanics clothes and hands, you need to access the inside of the car in order to lower the trailing arms fully, it is lowered by removing the upper bolt on the rear dampers. 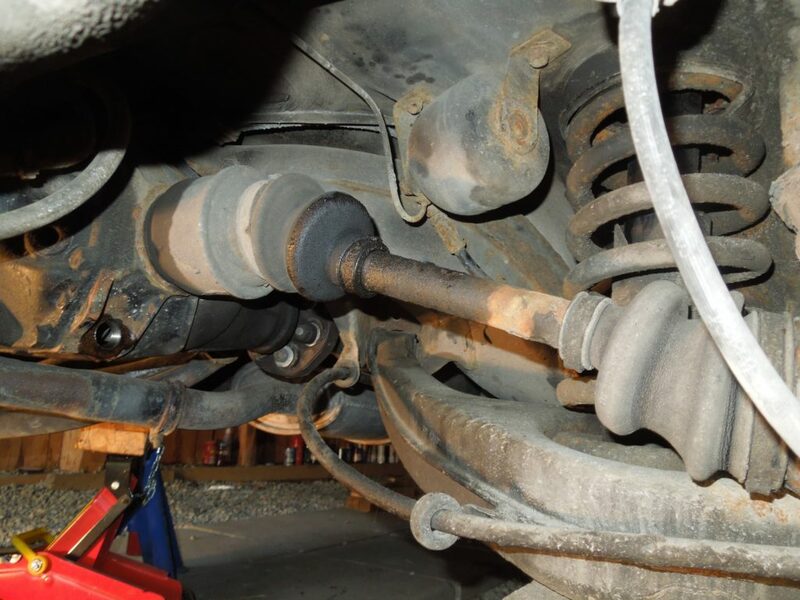 The procedure is the same for cars with and without the hydraulic rear levelling suspension. Start by raising the rear of the car and placing it on jack stands. Take off the rear wheels and unbolt the rear calipers and hang them in zip ties without taking off the felxible brake hose. The suspension has to be lowered more than the flexible brake hose can stretch so this is important. 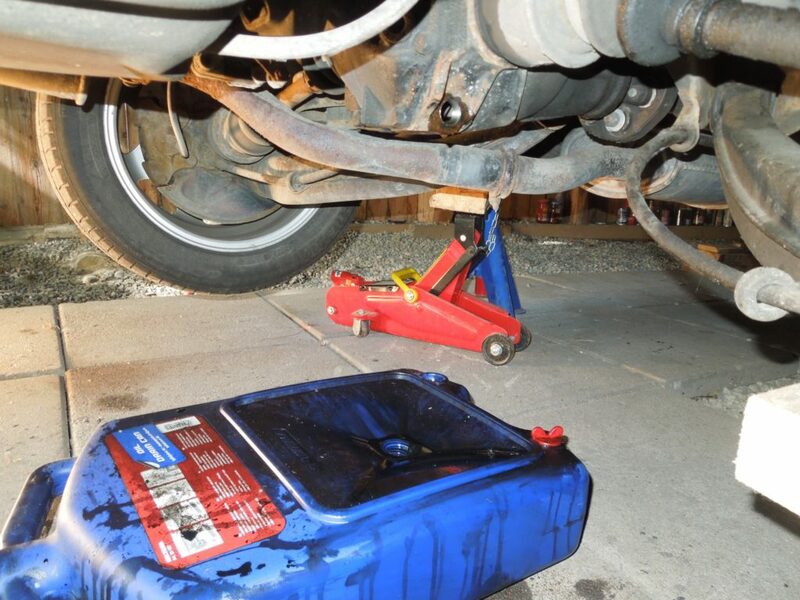 place a jack to support the weight of the trailing arms before you go on to loosening the damper bolts. 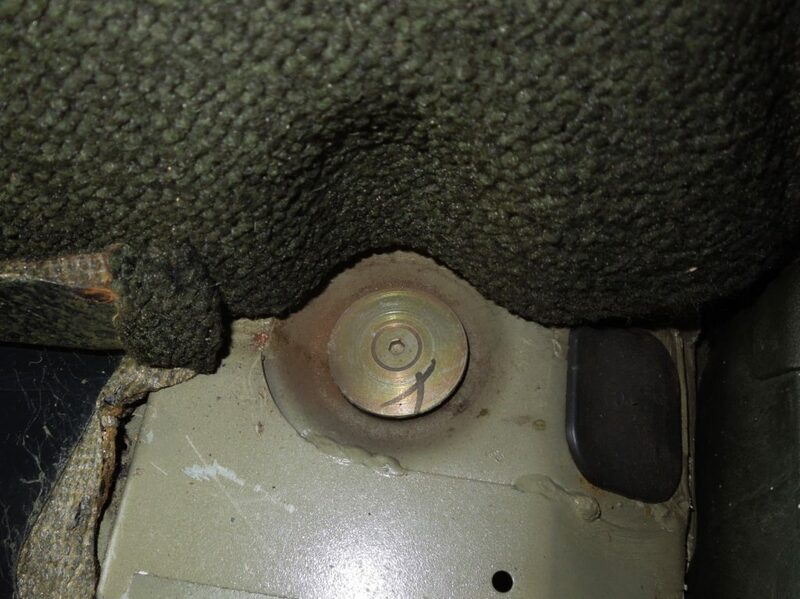 In the wagon, the bolts for the dampers can be accessed behind two black plastic covers behind the back seat rest. When the dampers are loose you can lower the trailing arms fully with the jack. 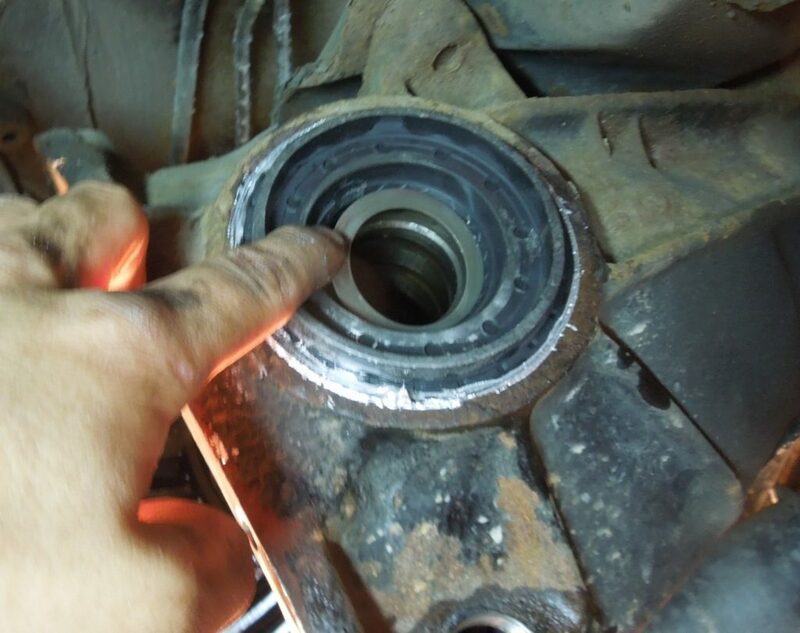 Then the driveshaft center bolt inside the wheel hub has to be removed. Use two wheel bolts with a bar between them to keep the wheel from rotating while loosening this bolt. Use a puncher to tap the axle carefully out. Usually you can just pull it out with your hands. Unless the suspension is fully lowered there might be difficult to get enough room to fully get the driveshaft out from the hub. Now is your turn to drain the fluid out of the differential. Drain it in an oil collector and try not to spill all it over. If the oil is warm it will drain faster. It will keep warm after a drive for easily an hour or so. When the differential oil has drained out. 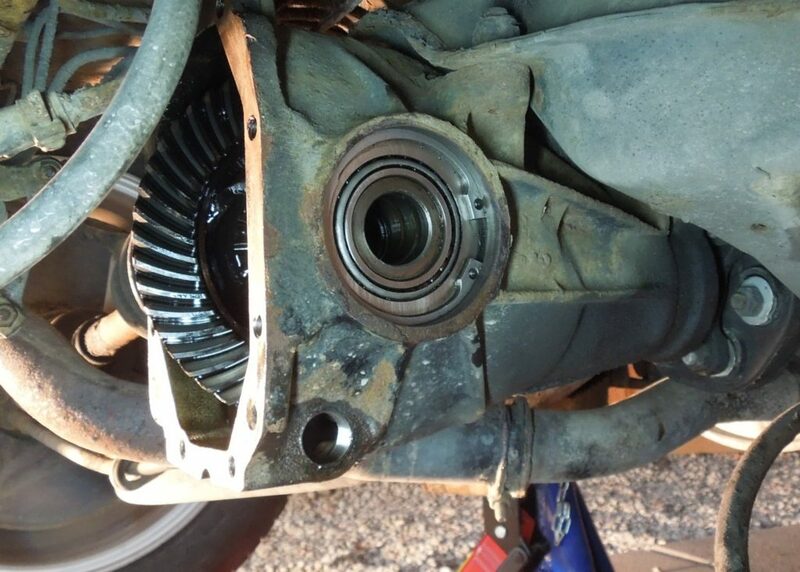 You can start removing the the rear differential mount. Use a jack and wooden blocks to support the differential while you remove the top four bolts securing the differential rear rubber hanger to the frame. Use the jack to relieve tension on the bolts while loosening them. Use a long extension for your socket to loosen the four bolts. 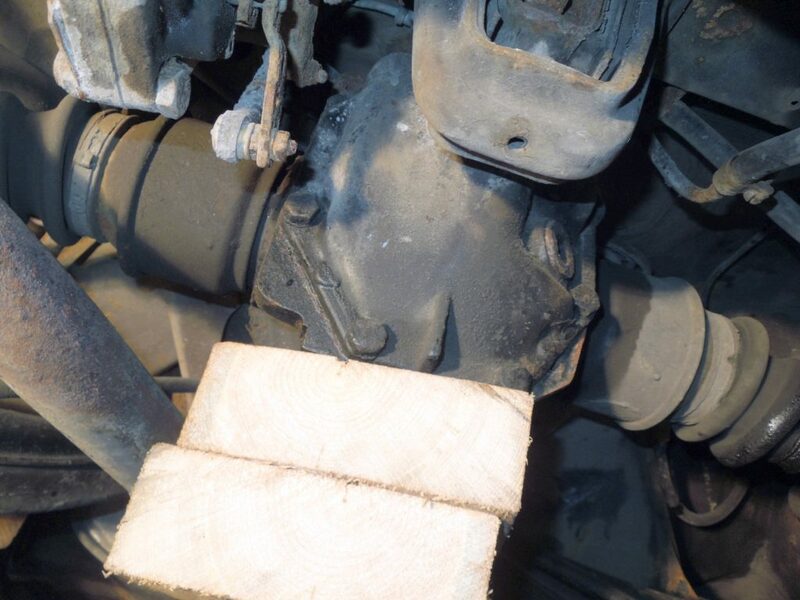 Support the differential with wooden blocks and a jack. Then when these bolts are removed. Loosen the two big bolts securing the rubber mount to the differential rear cover. This is so you can access all the differential cover plate bolts after, some are though a bit tricky to reach. A flexible socket tool joint or similar is nice to have, especially the top two ones. Lower the suspension with the jack to gain more access. The cover plate for the differential has 8 bolts. 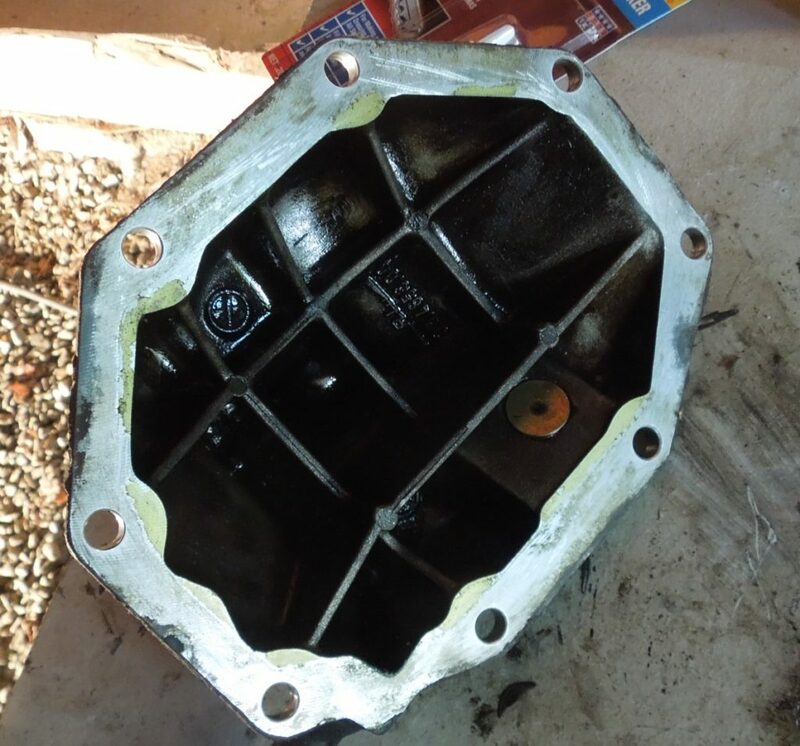 Have the oil pan ready so the remaining oil can drain out when the cover is removed. The only reason anyone bother to remove all these bolts is to access the internals of the differential where there are two small C-clips securing the axle shafts. It is on the outer end of the shaft right in the middle of the cogs. It’s a bit hard to see since all is covers with black oil, but if you have a good light you will see it, if not just turn the shaft 180 degrees around. The C-clips have a little tab with a hole in it, so you can drag it out with using a hook or some strong needle nose pliers to drag it out. With the c-clips detached you can remove the axles, just pull it carefully straight outwards. 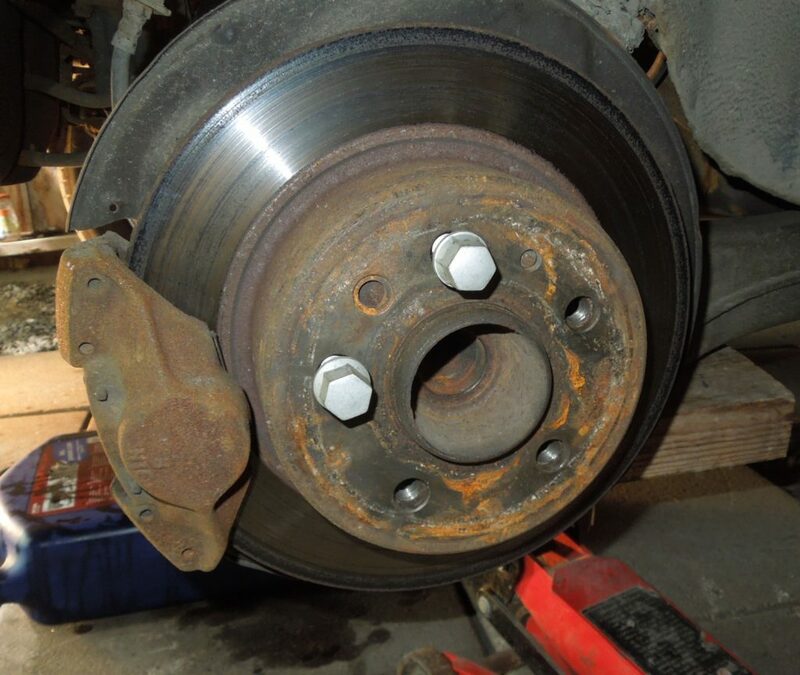 Note the placement of the shims, don’t forget these when putting in the axles again. 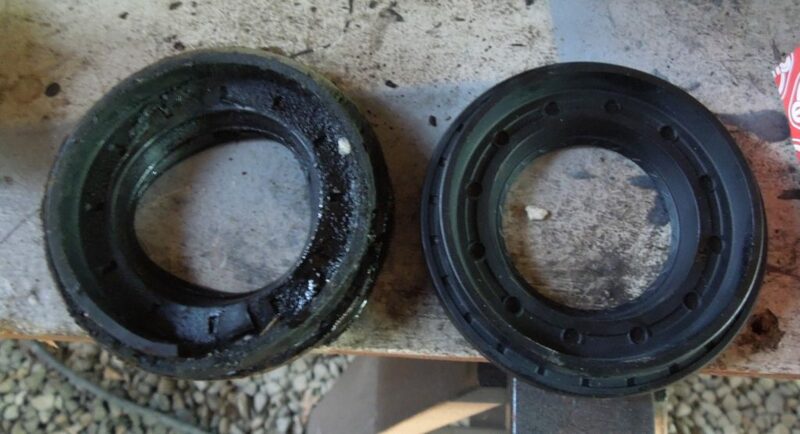 The differential axle gaskets also need to be replaced to prevent future leaks. This tends to be quite stuck, so use a crowbar or the back end of a hammer to pry it out. Look in the picture under if you are in doubt whether it is worth to change it. Even if it looks good, the rubber is most likely old and brittle and can start leaking oil at any time later and all this work has been for nothing. Without the differential gaskets in place it looks like the picture under. Clean the hole before installing new gaskets. Remember to torque all the bolts to the right torque setting when refitting the car back together. Not fun loosing the brakes or entire driveshaft when going down the road. Start by fitting the differential-axle gasket. Also there is a metal spring in the inner sealing ring, apply some thick grease around the metal ring to prevent it from popping off when installing the gasket. Push the new gasket ring by tapping on the edges very carefully until it goes in evenly, the space is very tight. 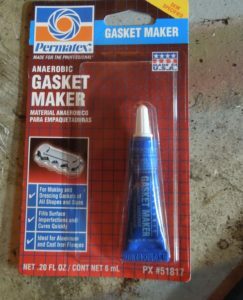 Or the best way if you have a similar sized tube or tool you can place over the gasket while tapping it in. Don’t forget to put the washer back in BEFORE you install the new driveshaft!!!! This is easy to forget.. Push the new axle in AFTER you installed the shim, and install the C-clips on the driveshaft ends inside the differential housing. 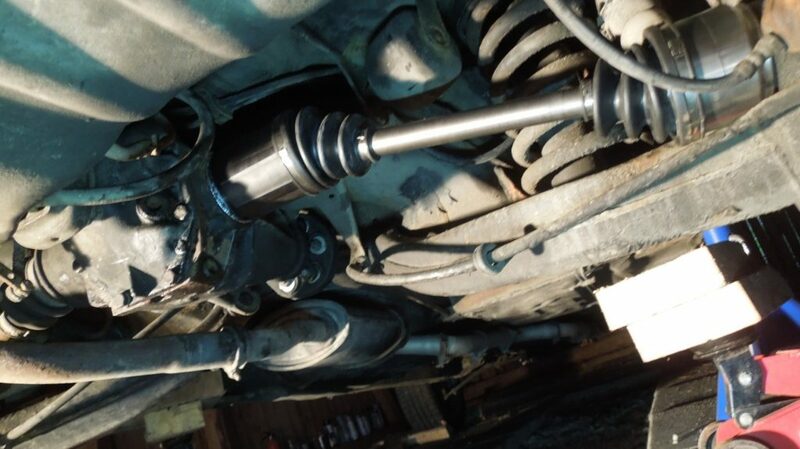 Install the other drive shaft end in the hub, then put the axle bolt back on. Then you can raise the trailing arms with the jack and install the dampers back on. Wait with the interior until you are completely finished with the other stuff. Then install the brake calipers back on, remember to apply some licktight on the bolts before torquing them. Time to get that differential housing cover on. Here is where most people have leaking differentials. 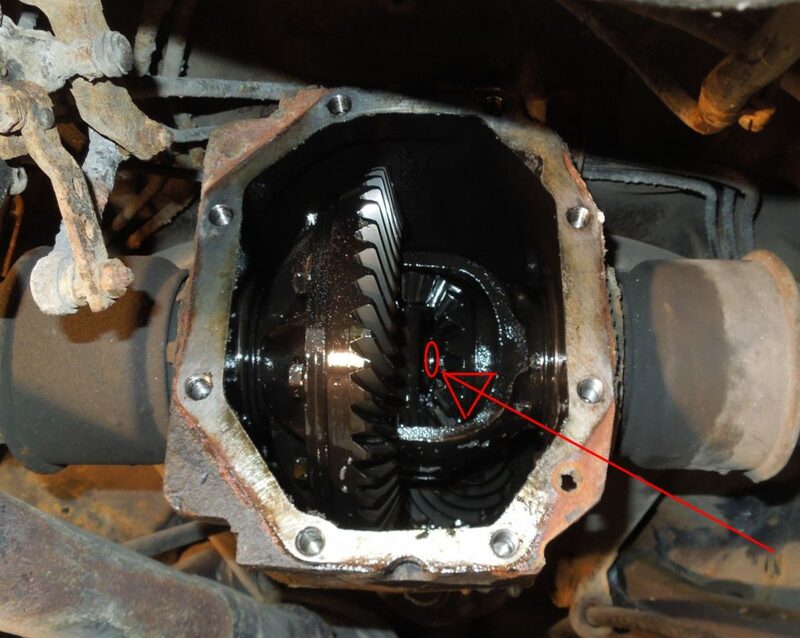 Use some cloth or paper to clean the excessive oil inside the differential housing and cover. And scrape the mounting surfaces on the cover and the housing, they need to be super clean from oil and dirt and totally flat so there will be no leakage. Clean off all oil deposits with brake cleaner. For sealant I used an anaerobic gasket seal. 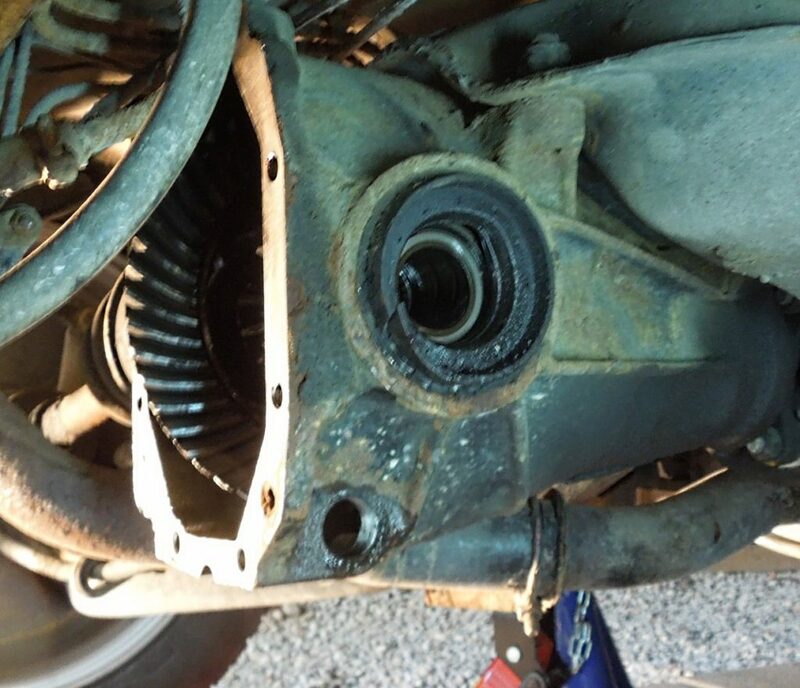 Silicone will deteriorate and small chunks of it will get inside the differential housing. Not recommended. Put some on both the housing and the cover and glue them together before bolting on the cover. Refit the lower draining plug. Remove the upper draining plug and fill new 80W-90 gear oil. Try getting a gear oil with a filling tube so you don’t have to mess around with pumps. Fill the differential up with oil until it starts running out of the filling hole, It will hold slightly more than 1L oil (never heard of the imperial system). Remember to put the filler plug back on. Take your time and you will avoid the mistakes, feel the satisfaction of doing this relatively major repair yourself. Well done!